After the Erika incident (France, 1999) the Assembly of the 1992 Fund established a Working Group which met on nine occasions between 2000 and 2005 to review the international compensation regime and to consider proposals for its revision. One of the main proposals was that the Conventions should be amended to require shipowners to make a greater contribution to the overall cost of oil spills. This was supported by the oil industry and received greater impetus after the Prestige incident (Spain, 2002). However it was opposed by leading flag states and shipping industry interests. 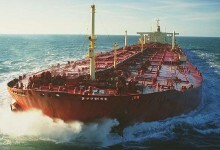 They accepted that the creation of the Supplementary Fund, to be financed by the oil industry, called for an increased financial contribution from shipowners, but they favoured alternative solutions to the issues raised, fearing that a revision would require new conventions and would involve a risk of fragmenting the compensation system. As an alternative solution the shipping industry offered two voluntary industry schemes, STOPIA and TOPIA, designed to indemnify the 1992 IOPC Fund and the Supplementary Fund in respect of compensation payable by them in certain cases. Ultimately it was accepted that the schemes adequately addressed the main issue, and proposals for revision of the regime were not pursued. An initial version of the schemes took effect in 2005, but revised texts, STOPIA 2006 and TOPIA 2006, came into force on 20 February 2006. Their full names are the Small Tanker Oil Pollution Indemnification Agreement 2006 and the Tanker Oil Pollution Indemnification Agreement 2006. In 2016 the schemes came up for review so it could be considered whether, in the light of claims experience, financial adjustments should be made to ensure approximately equal apportionment of the cost of claims for oil pollution damage between shipowners and oil receivers. In the event no such adjustments were considered necessary. However certain other amendments were adopted, firstly with respect to the conduct of future reviews and secondly to address sanctions risks. The amendments took effect on 20 February 2017. For a more detailed summary of the schemes see STOPIA and TOPIA – Summary of Schemes. For the text of the schemes see: STOPIA and TOPIA 2006 as amended 2017. For full details of the 2016 review and amendments see the following documents submitted by the International Group of P&I Clubs to the IOPC Funds in September 2016: STOPIA 2006 and TOPIA 2006 – Review of Agreements and STOPIA 2006 and TOPIA 2006 – Review – Amendments.